It’s a fact: no two of anything are exactly the same. We’re actually quite pleased about that. It means that we can create a unique solution for your specific needs. And it means that no other furniture dealer can provide exactly the same service and experience that we can give you. 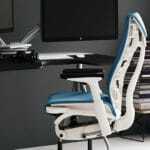 iiSpaces is a full line Herman Miller dealer, but we also offer over 250 additional manufacture lines. Since inception we have been established on the principle: simple, quick, and affordable. iiSpaces can offer space solutions and a customer experience that is adaptable to anyone’s needs and is second to none, just ask our clients. 2012 – Awarded Inc’s 5000 as being one of the fastest-growing private businesses in America. We have been part of this prestigious list three (3) times. SMU Cox School of business “Dallas 100” As one of the fastest growing privately held companies in Dallas Fort Worth. Hispanic Contractors Association of DFW The Best of the Best three years. Selected as one of the Top 500 Hispanic-owned businesses in the United States by Hispanic Business Magazine three years in a row (a syndicated publication of the New York Times Company). Distinguished for three years as one of the Top 500 women-owned businesses in the United States by diversitybusiness.com. From 2005 to the present. Chosen three times as a Top 100 diversity-owned business in Texas by diversitybusiness.com. From 2005 to the present. Selected three times as one of the Top 100 small businesses in Texas by diversitybusiness.com. From 2005 to the present. Honored three times as one of the Top 100 women-owned businesses in Texas by diversitybusiness.com.